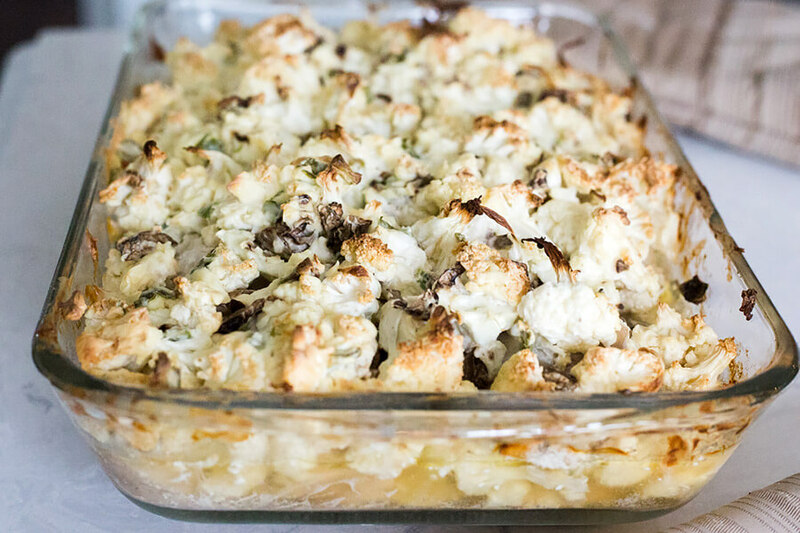 Finding a delicious and freezable meal can be hard sometimes, but this mushroom casserole is great to take to work for the week. It’s creamy and delectable. It can also be frozen to keep those days when you just don’t feel like cooking! For this recipe, I used regular white mushrooms, but you can use oyster, cremini or even a mixture of all kinds of mushrooms! 1. 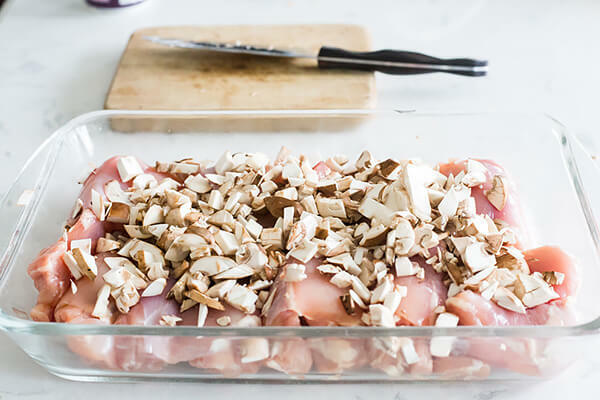 Place the chicken thighs into a casserole dish then layer the mushrooms and cauliflower on top. 2. 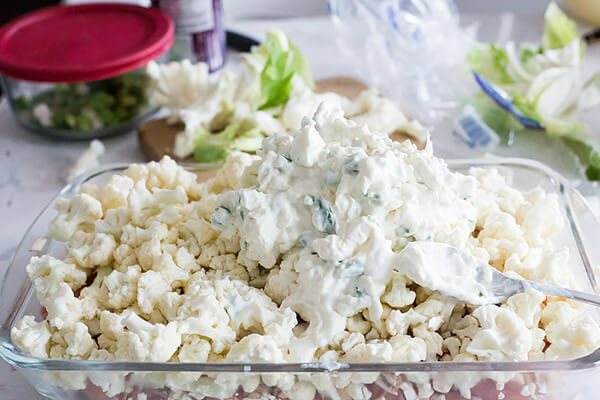 In a separate bowl mix together the cream cheese, sour cream, and green onions. 3. Spread the cheese mixture onto the cauliflower. 4. 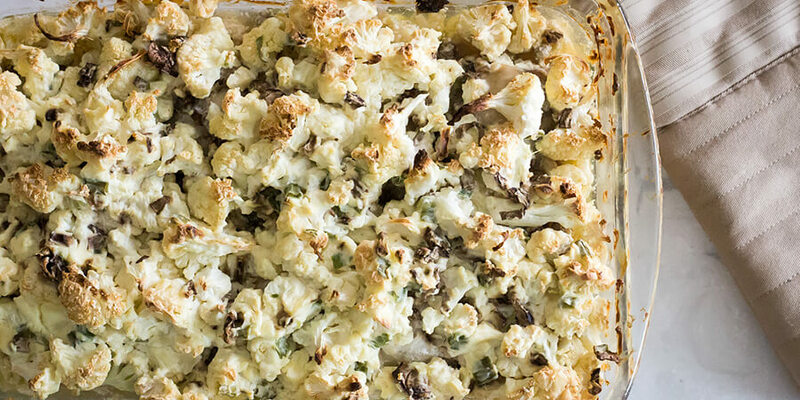 Mix the top of the casserole together until the cream cheese mix coats all the veggies. 5. Bake at 350F for 1 hour. This makes a total of 4 servings of Creamy Mushroom Keto Casserole. Each serving comes out to be 611.25 Calories, 33.44g Fats, 8.21g Net Carbs, and 65.38g Protein. 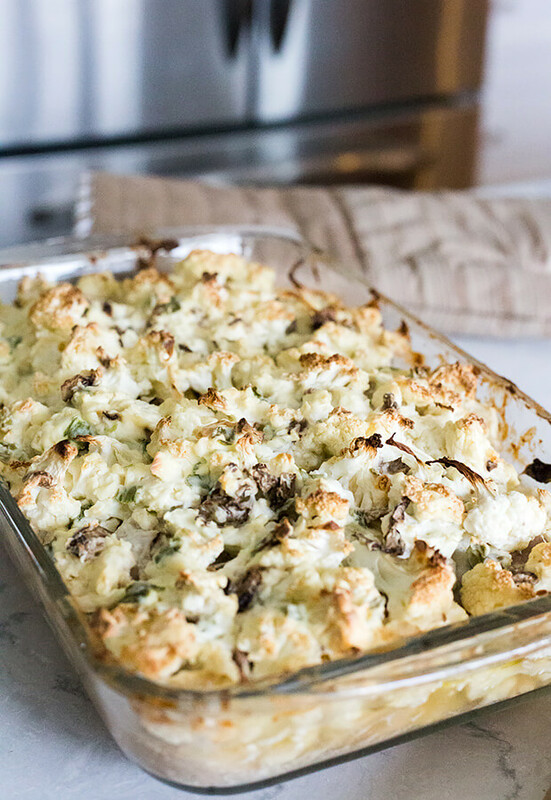 Place the chicken thighs into a casserole dish then layer the mushrooms and cauliflower on top. 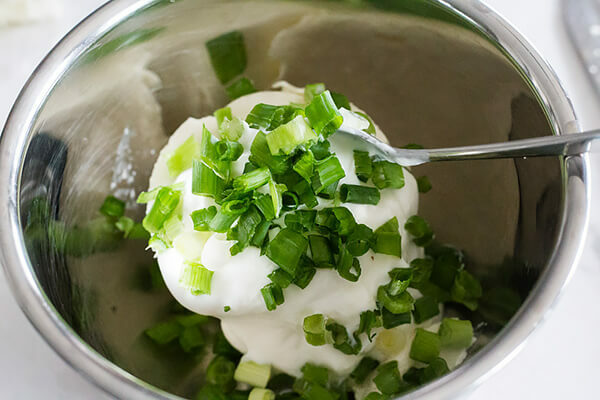 In a separate bowl mix together the cream cheese, sour cream, and green onions. Spread the cheese mixture onto the cauliflower. 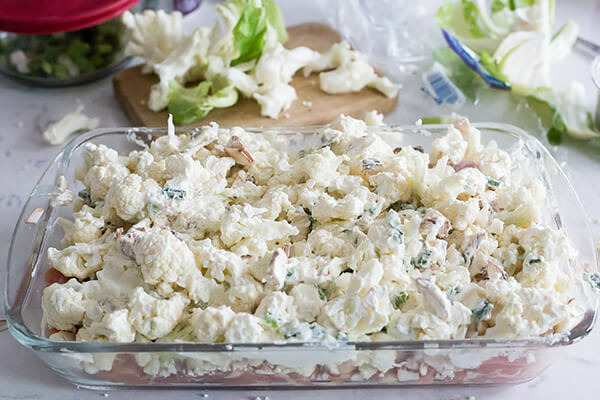 Mix the top of the casserole together until the cream cheese mix coats all the veggies.